Cat paws fascinate me. I love the grey pads on the paws and want them too! I think it would make me walk quieter; besides looking like a monster. Oh yes, she does have claws, which she occasionally reminds me of! Ha! This is funny, I actually thought grey paw pads are normal because both my cats have these! It’s probably because one is a grey tabby and another is black. Light coloured cats probably have sweet pinks ones. I’d love to see that! We should stalk on our cats and watch them closely more often! 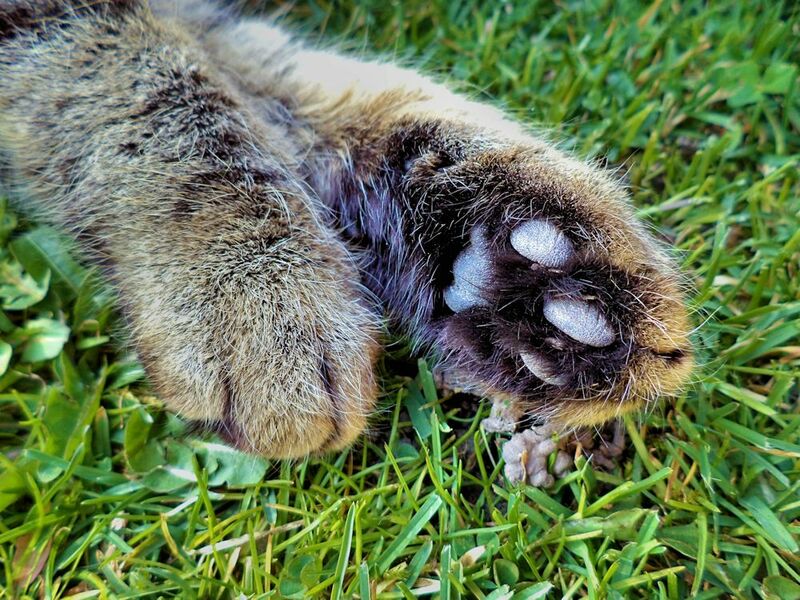 On the weekend I’m going to post a picture of my cat’s paw pads, I think you’ll love them! No cat paw photos this weekend 😦 but I’ll keep trying!